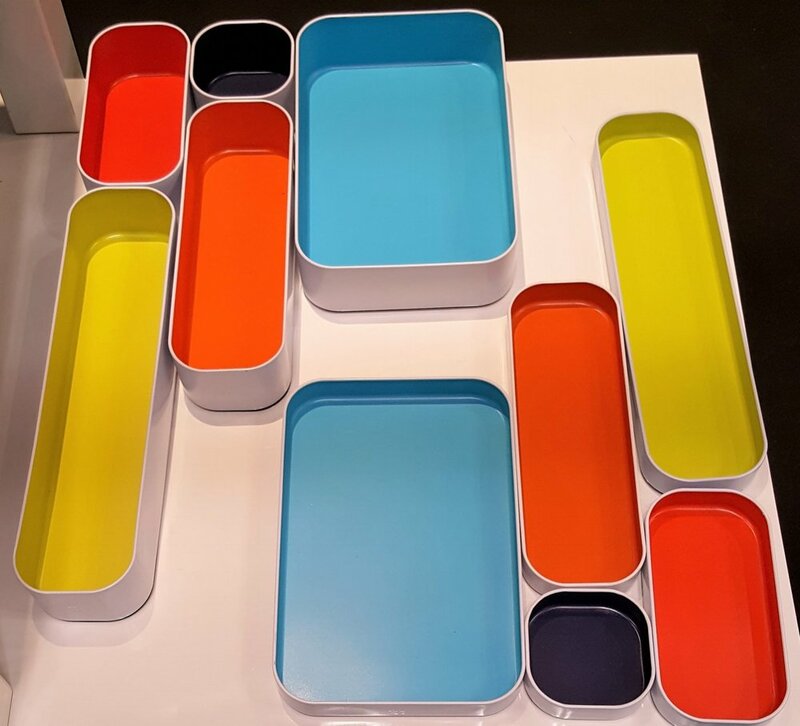 Twice a year some 2,400 suppliers of home, lifestyle and gift products show their latest wares at NY NOW at the Javits Center. Most of the 25,000 attendees are buyers who are sourcing product for their retail stores. A few others (like me) walk the curated collections to a get a read on trending products and themes. 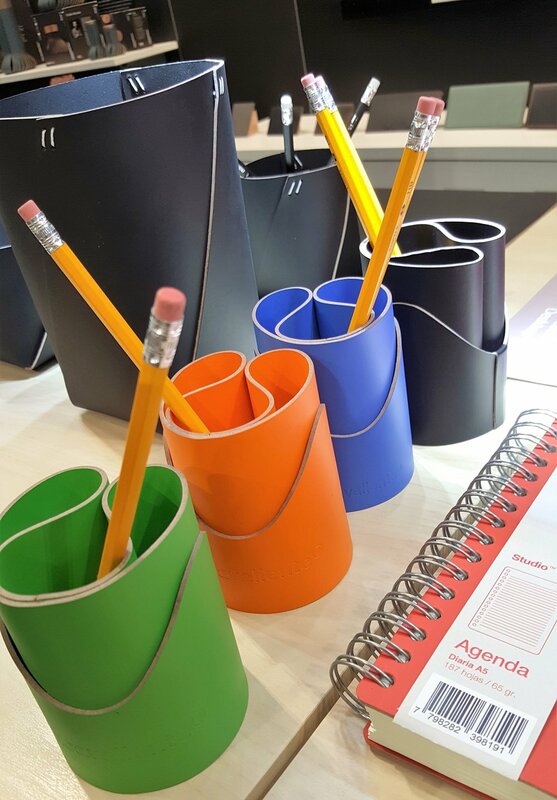 I combed through the Accent on Design section and came across a few gems that can bring a blast of color to your workspace or ease your daily commute. 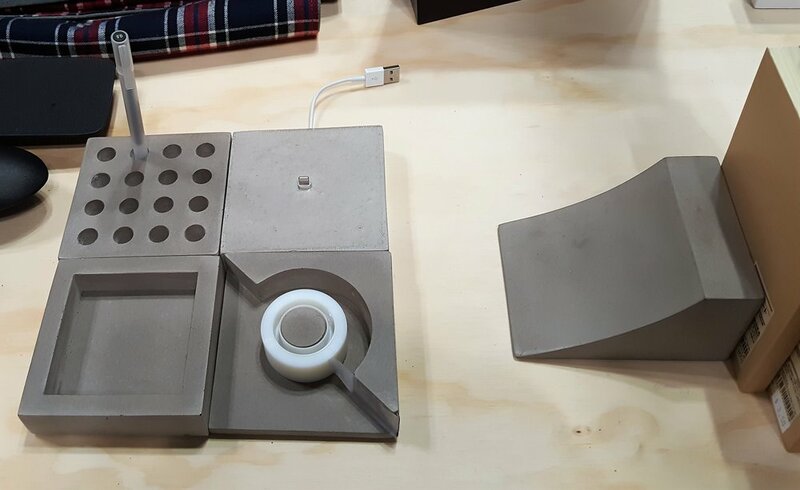 Concrete is smoothed, hand-sanded and sealed to create a modular series of 4x4x1 inch pieces. $15 per piece or $50 for set of 4 (tray, pen stand, tape dispenser, dock). Matching Book Launch is inspired by skate ramps. $29.95. Made in the USA by I Love Handles. ilovehandles.com. Spare in design but rich in color, powder-coated steel racks work on desks, kitchen worktables or floors. Letter-size (about 3x3x3 inches) £12, magazine/file size (about 6x6x6 inches) £20. From UK-based Block Design. blockdesign.co.uk. Orbitkey's clever design houses up to 7 keys in stylish and streamlined leather. ($39.90) or colorful rubber ($24.90). orbitkey.com. 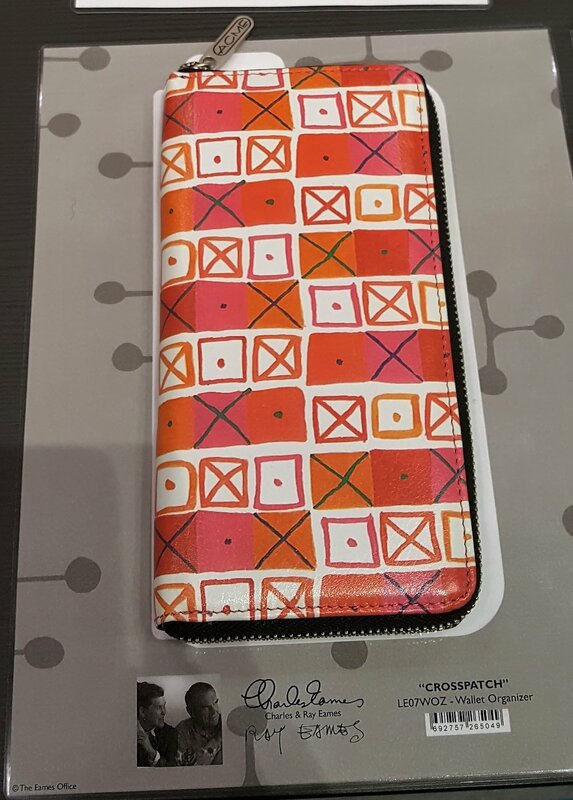 Eames fans can carry the classic Crosspatch pattern in a 7.75 x 4-inch wallet organizer. $132. shop.eamesoffice.com. A rainbow of vibrant band keeps things artfully organized in MoMA's Snap It Up Journal. 4x9 inches with 144 grid, lined and blank pages. $15.95. store.moma.org. With built-in shelves, these magnetic, dry-erase boards boards do it all AND add a bit of glam to your walls. From $20 by ThreeByThree. threebythree.com. Made of memory foam, the ostrich pillow has to be the best-looking travel pillow out there. $60. 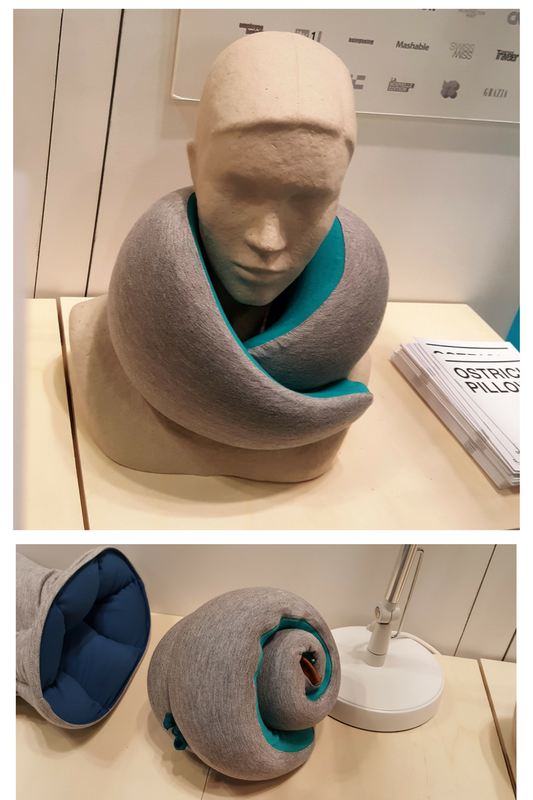 ostrichpillow.com.